Prepackaged snacks have been a cornerstone of consumer-packaged goods for decades, but the concept of portioning for health emerged in the 2000s with the debut of Nabisco’s 100 Calorie Packs. Now, the trend of pre-portioned snacking curated to taste in a plate have emerged. Most similar in packaging to the children-positioned Lunchables, these adult versions aim to fulfill adult palettes. 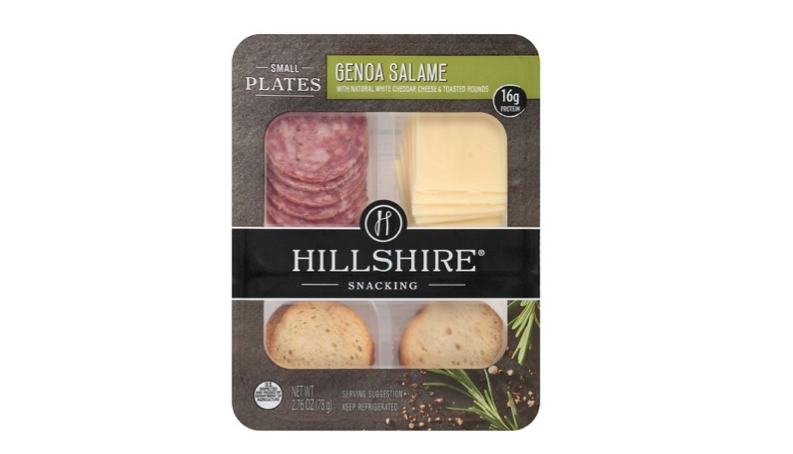 Unlike Lunchables, however, adult pre-packaged snacks have strong emphasis on curated flavor, protein content, and convenience for busy adults. This concept is not entirely new, having existed in the c-store scene for a while as travelers seek convenient snacking options. Wawa has long emphasized pre-portioned snacks with exciting varieties like Cannoli Dip and Buffalo Chicken Nachos. Now, the time has really come for this kind of innovation, as similar snacking plates are being produced by some of the biggest consumer packaged goods companies. The convergence of two macro trends — Better-For-You and snacking — has resulted in these convenient snacking plates. The plates make the perfect marriage of a quick grab option and elevated flavor profiles. Snacking needs to serve a purpose for most consumers, with 75% of adults snacking to give them energy and 59% snack to eat healthier (Mintel, 2018). 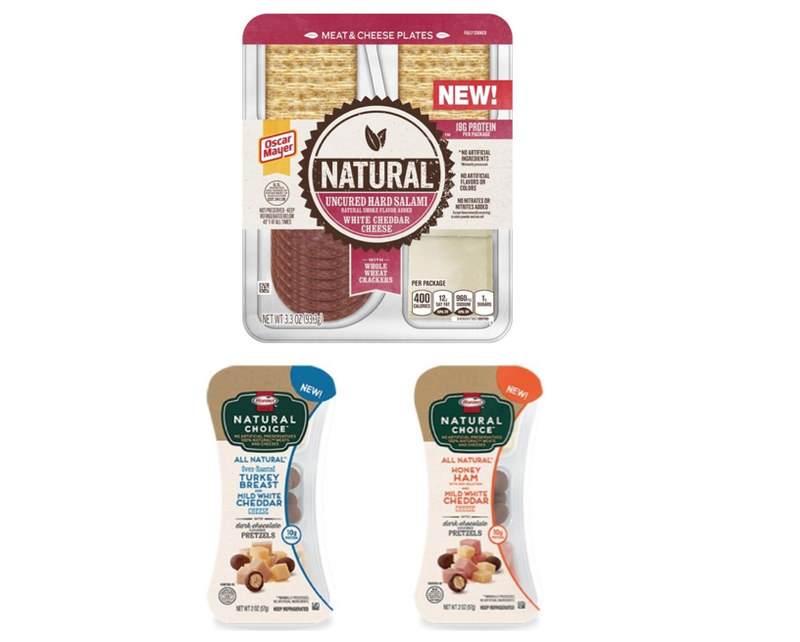 There is no mistaking that protein-focused companies are leading the charge with these snacking plates: Tyson’s Hillshire Farms, Kraft’s Oscar Mayer, and Hormel all have their versions of snackable plates. Each version of the plate by these companies predominately displays the grams of protein to position as a snack “with purpose”. For Tyson’s Hillshire Farm’s, the curation is apparent. Flavors such as Wine-Infused Salame, Tuscan Flair, and Rustic Harvest elevate the snack, invoking associations with sophisticated meals and flavors. The muted colors and elegant script further lend to the elevation. It’s clear the positioning of Hillshire Farm’s is intended for that snacking occasion to stave off hunger and treat oneself. Hormel and Oscar Mayer both have a slightly less elevated approach. Both use natural bright colors and classic deli meats. Hormel’s offers a sweet component, chocolate covered-pretzels. This directly coincides with the trend of curation in snacks, as consumers seek to have different flavor structures. Another advantage for meat brands entering the snacking space is the use of refrigerated shelf space, which is strongly associated with freshness. Freshness is incredibly important in snacking for health: fresh fruit, nuts and cheese are all favored over processed snacks involving vegetable sticks/chips, fruit chips, or puffed snacks, according to Mintel’s report. The inherent connection between refrigeration and freshness plays directly into the hand of the protein companies as these plates are usually placed in the lunchmeat case. Placement comes in a different form for Quaker’s Morning Go-Kit. Found in the dairy aisle, Quaker’s kit deviates from the meat-based plates and is positioned as a breakfast kit. The high protein content is still a major benefit that is predominately shown, uniting the plates in their positioning as a “better for you” option. Overall, the curated snacking plate is a phenomenal example of intersectional trends coming together, and the future is bright for innovation. Be on the lookout for different companies taking advantage of this concept with different flavors, snacks, and themes.